In direct compliment to his inner fine artist, Sean Brannan shares his time as a certified Cognitive Behavioral Hypnotherapist. When analyzing Sean’s art work in person, it might seem as if his personal relationship to psychological space willingly transforms itself into a hypnotic symphony of color and textural pattern. A follow up by Pacific Magazine on cover artist Sean Brannan- “After winning the ‘Most Modern’ art contest and (being) featured on the cover of Pacific San Diego magazine back in 2011, I’ve been pretty busy,” says San Diego-based artist Sean Brannan, who, according to his website, “explores the psychological effects of interacting color, geometry and perception” in his paintings. Sean Brannan: The approach I take to painting is to access the subconscious through the creative process. I believe that in the creation of art, or an image, one gains understanding of themselves by realizing that part of us which is otherwise inaccessible. My recent body of work is created using a semi-transparent photo adhesive paper imported from Asia. 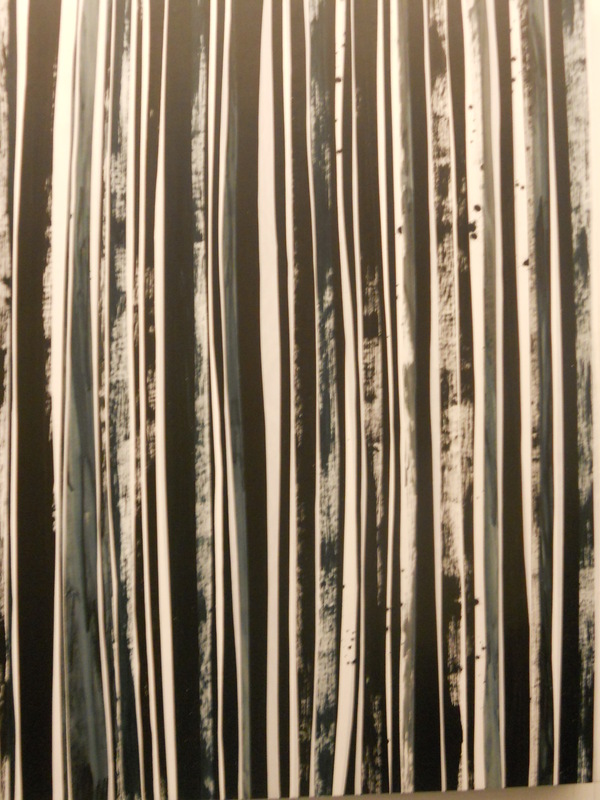 These new paintings, which I refer to as “Thickets,” due to their dense bamboo-like appearance, are created by layering strips of the paper that have been hand-painted, pre-printed, or by using image transfers. The paper is collaged in a manner that uses balance, contrast and color to create an instinctual yet harmonious aesthetic. ArtJetSet is the Destination for what’s hot in the International Contemporary Art World. The Affordable Art Fair held May, 2011 in Scarsdale NY. The Affordable Art Fair goal is to make art accessible to all buyers at all the price ranges. A truely wonderful fair, hosting a diverse range of gallerists and artwork, the greatest pleasure was seeing the many people walking out with wrapped artwork in hand. Though the misconception of Affordable can ring as cheap and low quality, this fair hosted a gorgeous array of work and international galleries from Argentina to Austraila. Favorites included blue abstracted horizons at Sarah Myerscough, Sean Brannan’s Birch Trees at Madelyn Jordon, and Edouard Buzon paintings at Envie d’Art. Sean Brannan discusses his new abstract work with the San Diego Art Journal.